If you love soaking up the stunning coastal views around Montrose and you would like to host a special event outdoors so you can enjoy the sea breeze, Hog Roast Montrose are the ideal catering option. We are the local leading suppliers of hog roasts and experts in outdoor catering for all types of events. We have the flexibility to cook in any location and wherever we are, we always deliver an exceptionally high standard of food and service. Everything we offer is freshly prepared on-site by our skilled mobile catering team using only the best locally sourced ingredients Montrose has to offer. Our wide range of varied menu are suitable for all budgets and occasions. 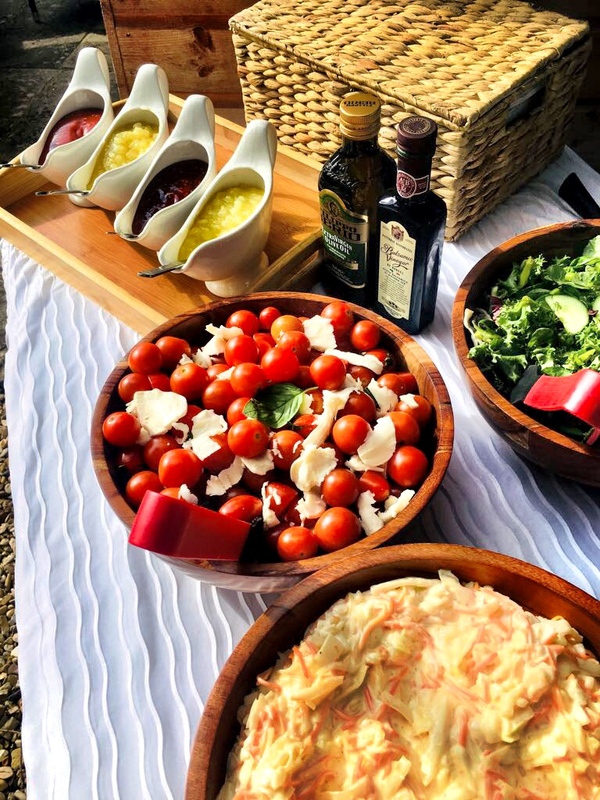 We can supply everything from our classic hog roast sandwiches for informal gatherings or public events, to large buffets and elegant 3 course meals for extra special occasions. We will even greet your guests with a delicious platter of our own handmade canapes, an ideal way to get your wedding reception, christening or corporate event started in style. Here To Help You And Your Event Planning! When it comes to the planning and execution of our menus, Hog Roast Montrose’s attention is second to none. We ensure all diets and tastes are catered for and in addition to our superior slow-roasted pork, we also offer a variety of other meats, creative vegetarian dishes and specialist produce for different dietary requirements, such as gluten-free bread rolls. We are also very flexible in terms of the style of service we offer for your event. If you want a relaxed buffet, your guests can help themselves to the attractive array of dishes we will lay out on our serving table. Alternatively, if you would prefer a more formal feel, we will supply our own front of house and waiting staff to provide a warm welcome and full table service, ensuring all of your guests’ needs are met from start to finish. Montrose is a lovely place in which to hold any kind of celebration and if you choose Hog Roast Montrose to cater for your event, we can help you take full advance of this idyllic location by giving you the freedom to host your celebration anywhere you like and at the same time, provide you with some unforgettable, freshly prepared food that all of your guests will love.